Hiking traction devices are just like putting studded tires or snow chains on your car to get over a wintery mountain pass. Except on a smaller scale! Not familiar with the idea of winter traction devices for trail footwear? It's all about solid grip and stability. 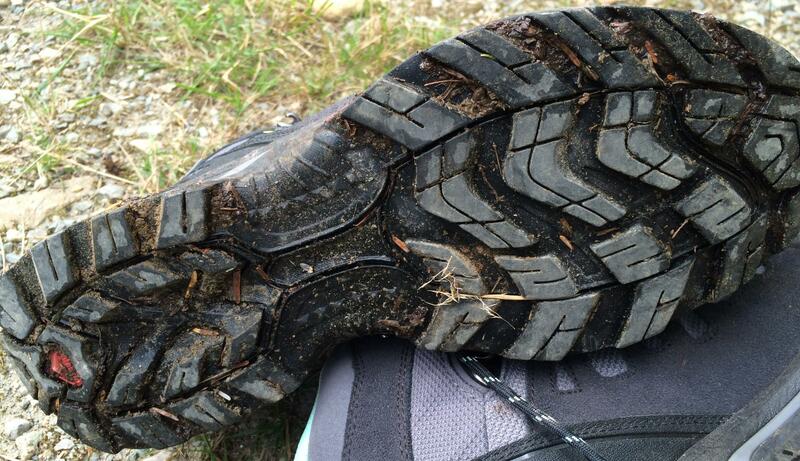 Look at the tread on a pair of hiking boots, and you will notice plenty of grooves and surface area. But imagine these boots on snow and ice: the grooves fill up with the stuff, and there goes your traction. Even the best hiking boot tread can't stand up to ice. You need more traction! So if you're tired of fishtailing, slipping, sliding, and falling when the trail gets covered in solid water (snow! ice! or both), consider your options for the best winter traction devices for your hiking boots. Let's get the most serious option out of the way first: crampons. You won't need these ice cleats unless you're doing something technical in high alpine areas, so I'm going to leave them out of our discussion of winter traction devices for hiking footwear. If you want to read up on what they are, and when they are needed, go here. I carry these winter traction devices for my hiking boots on my late fall through late spring hikes, which bring me onto snowy, potentially icy slopes at Mt. Rainier National Park and elsewhere in the Pacific Northwest. The instant I put them on, I feel stable and secure regardless of the incline or surface of the trail. They are lightweight and easy to carry along. Just be sure you have a dedicated weatherproof bag (like the one they come in) to put them in. Stash them in an outside pocket on your backpack so you don't have to thrash around inside of it when you need your spikes. I've had the same pair for over 5 years, and as mentioned above, I use them a lot. No signs of damage or wear yet! Note: I don't wear them when the snow gives way to a rocky, or even dirt covered, surface. Why push your luck with the stainless steel spikes, right? The flexible chains underneath your boots prevent the snowball effect: ice and snow globs building up and depriving your feet of a stable surface. The rubber hugs your boots, so no worries about them falling off or getting dislodged in deep snow. Super easy to remove with one hand. Hang up these spikes to dry when you get home (although if you forget, the stainless steel and plastic probably won't deteriorate). When my fingers are cold and wet, they can be hard to put on even with the large, easy to find heel tabs. Solution: Be sure you have the correct size, and you'll never have to wrestle with them. Be cautious if you wear these into a winter stream crossing involving rocks. You will be sitting a bit higher, and will teeter a bit, on the rocks. Slush seems to be the least desirable surface for wearing these, as I do slip a bit from side to side in them. But they are way more stable than boots alone! So let's sum up the reasons these are my go-to winter traction devices for hiking on snowy, icy surfaces: They are portable, don't take up much room in my pack, durable, fast to get on and off, and won't let you slip and slide around when you're on ice, ice covered snow, or steep snow. If you've ever fallen while hiking, you know that you never want to do that again. Microspikes to the rescue! My Microspikes technical review is coming soon. I have walked across bare dirt and rocks with these, although I would not recommend it. I use Yaktrax when I'm going for shorter, easier winter hikes with potential water crossings on snow covered ice. I also use them when I go for my daily training walks around the neighborhood if I know that I'll be coming up against icy sidewalks, trails through the park, and snow packed fields to cross. So you might find that Yaktrax are the best option for your wintery conditions, and never need to trade up to spikes. You can slip in these when you start getting off flat terrain. Not rock solid on icy trails, at least in my experience. One of the coils has gotten damaged, and that's after light usage (although, as mentioned, I've taken them on rocks). Use them when the trail isn't too gnarly and the distance isn't too great. Yaktrax come in three different versions (thus, 3 different price points, beginning with a pair under $20 U.S.). Check them out if your type of hiking isn't taking you into technical terrain or steep trails. And keep them handy to use around home, too, when you need to grab the snow shovel or walk the dog or toddler on an icy sidewalk. When you're fairly certain that you'll face snow, ice, or both on your next winter hike, do yourself a big favor and bring along some good traction for your hiking boots. Heck, even if you have no idea what the trail will be like, bring along a pair of these hiking traction devices. They're lightweight and easy to stash in an outside pocket of your pack. Bring a resealing plastic bag to keep grit and water out of your backpack. Falling down is an unpleasant and potentially dangerous experience (says the voice of experience). It's also cheap entertainment for your trail buddies, but who cares about them! Short circuit your chances of a fall by being smart about providing your feet some traction. The trail looks way more pleasant when you're upright and all of your parts are functioning. Need more winter hiking tips? 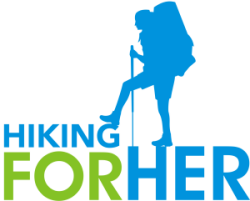 Purchasing your hiking traction devices on this page results in a small percentage of your purchase price flowing to Hiking For Her to keep the hiking tips rolling along. You pay nothing extra, you get great gear, and I get to send a gripping (get it?) thanks your way!